Gardening is more popular in England than anywhere else and this is reflected in the number of gardens open to visit in England. As an island surrounded by choppy seas and protected by a powerful navy, Britain's territory was physically secure from an earlier date than other European countries. English towns could spread beyond their medieval walls much earlier than in continental Europe. Instead of apartment blocks, the typical English dwelling was a small house with a small garden. The aristocracy always wanted 'a place in the country' for the summer and a town house for the winter. Also, the climate is never very cold and partly because it is never very hot. One usually has to be up and doing something. A wide range of design styles are well represented in England, although the most famous period in English garden history is the eighteenth century, when the original English landscape gardens were made. England has some wonderful cloister gardens attached to the great cathedrals. The best are simple rectangles of grass. England also has many castles - but no ancient castle gardens. Nor are there many renaissance survivals. There are baroque gardens but not nearly so many as in France and Germany. 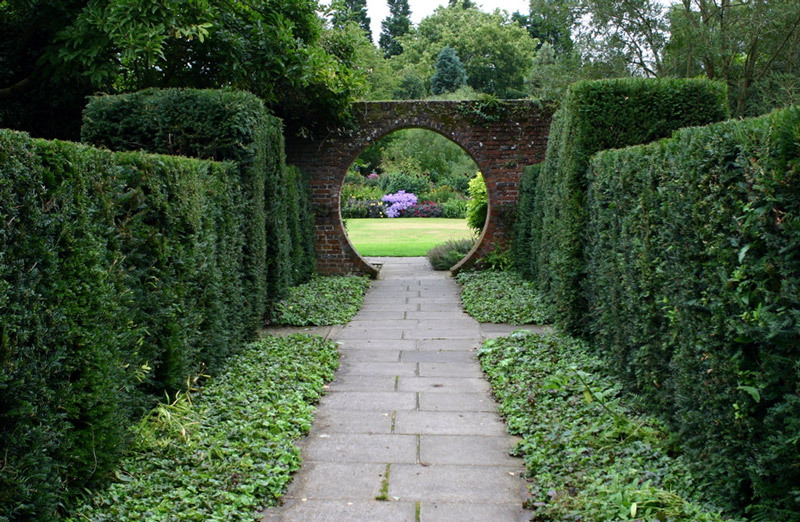 But from the eighteenth century onwards Britain has excellent examples of most styles of garden design. The tour includes a full day at the Chelsea Flower Show, which is the most famous horticultural event in the world, a visit to one of the best known Arts and Crafts gardens in England ( Sissinghurst ), a tour of the RHS's flagship garden ( Wisley ) with its new glasshouse, Wilton House, Capability Brown's timeless Stourhead and Harold Peto's Iford Manor. The Cotswolds is blessed with an abundance of celebrated gardens and we invite you join us to discover some of the best examples of 20th-century design from Hidcote to Highgrove. Our expert local guides Vivienne McGhee and Mel Tanner will give a unique insight into the history and inspiration into each our carefully selected gardens. Flora guided tours of gardens in England take 4 to 12 people to the best English gardens, large and small. The tours last 3-7 days but special interest tours can be run to suit your group. In 2019 FLORA will tour Lake District and Yorkshire gardens 14th to 20th May; Wiltshire and Somerset gardens 10th to 14th June; Romantic gardens of Kent, Sussex and Surrey 25th to 30th June as well as Cambridge and Norfolk gardens 20th to 25th September. Dr. Barbara Sommerville plans and escorts all garden tours in England and gives evening power-point talks on subjects relevant to touring English and British gardens. Violets and Tea are the luxury English garden tour specialists. We provide exclusive, tailored English garden tours with a personalised feel to garden lovers from around the world. We carefully curate our tours to include gardens that are beautiful, interesting and hold historical importance. And wherever possible, we select gardens and experiences not generally available to the public. We are excited to announce our beautiful tours for 2019 encompassing England's best gardens and the world-renowned Chelsea Flower Show. 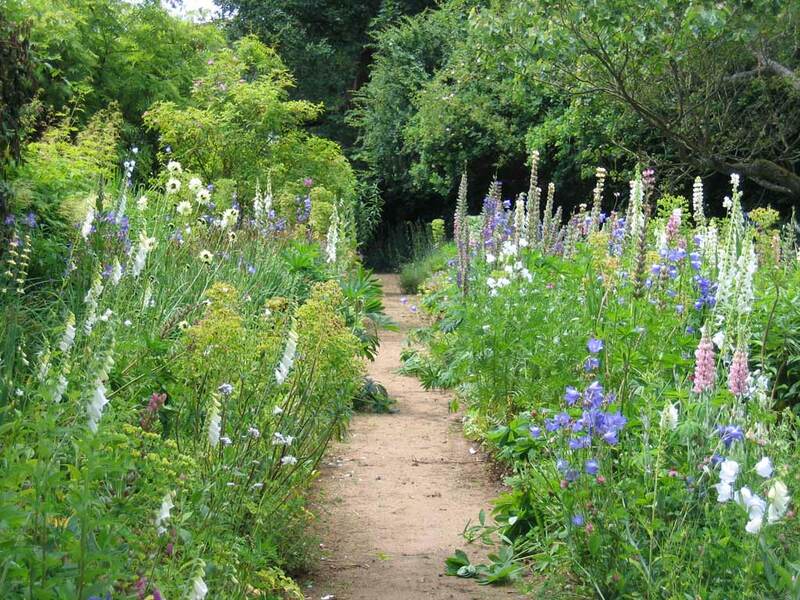 Follow in the footsteps of Gertrude Jekyll on this tour across the south of England, visiting many of her commissions including Hestercombe, Upton Grey and also the rare opportunity to visit Munstead Wood, her home for almost 40 years. This is an excellent tour for visitors to London who would like to visit gardens in Kent and Sussex. The countryside is varied, well-wooded and very favoured from the points of view of garden makers and garden visitors. The tour includes visits to Lullingstone Castle, Great Comp, Nymans, Sussex Prairie Garden, Sissinghurst, Great Dixter and Hever Castle.